Hewlett-Packard joined the netbook wave with their HP 2133 that was designed to go up against the Asus EeePC, Acer Aspire One, MSI WInd, etc. The 2133 is a great netbook, probably the best in its class. 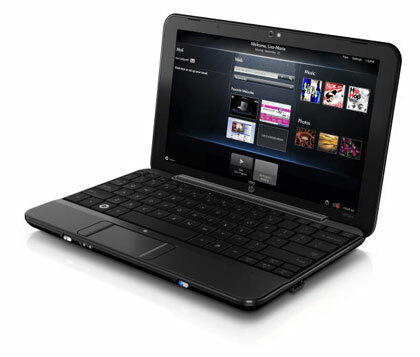 However, the HP 2133 went on sale on Amazon yesterday for $299 shipped. At that price, it only meant one thing, they’re phasing it out. That’s alright though. HP is rolling out a replacement for the 2133, the HP Mini 1000. The new Mini 1000 comes in three trims, HP Mini 1000, Mini 1000 MIE, and the Mini 1000 Vivienne Tam Edition. Prices range from $379 – $699. The cheapest model will run Linux and somewhere down the line Windows XP will be preinstalled. The major difference the new HP Mini 1000 netbooks have over the HP 2133 is the processor and screen size. The previous version sported a C7 CPU from VIA and an 8.9 inch screen. On the other hand, the newer model comes with the Intel Atom processor. Most of the specs are the same, 92 percent keyboard, built-in Webcam, wireless, and options for solid-state or hard-disk drives. So is the Mini 1000 really better than the 2133? Well, for one thing that Atom processor is really good. However, for basic office tasks and internet browsing, I’m guessing that the Amazon offer is best at the moment.